Despite stagnant features, in 10 years smartphones have become beasts of power able to replace our PCs. With its new partner Auxens, Miraxess attempts to incarnate the next mobile revolution which will unleash the full potential of our fantastic pocket computers. Evolve from Smartphone to Superphone. demonstrate the mutation by already presenting PC mode features. OXI, transforming your phone into a real PC. Mobile phones are as powerful as our PCs and the main limitation to fully use their potential is the limited interface. 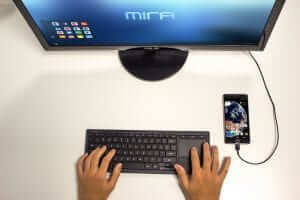 Mira creates an optimized desktop environment for you to be productive on your mobile device. Enjoy windowed apps and multi-task while you write a document or make some web research. their full potential, that’s why it’s time to upgrade to Superphones. With Laurent (Auxens cofounder), we want to bring Superphones to brands which did not anticipate this innovation. 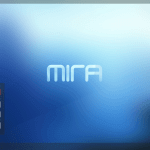 Mira is a neat and optimized PC mode made to regain productivity, in one hand. » – Yanis Anteur CEO of Miraxess. Mobile phone manufacturers willing to integrate Mira desktop mode will also be natively compatible with the Mirabook extension. The Mirabook extend the capabilities of your phone by turning it into a full-fledged Laptop with a large screen, a keyboard and a track pad. 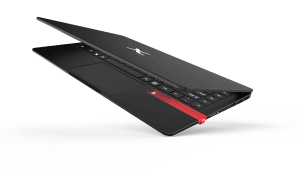 Combine the capacity of a Superphone and the productivity of the Mirabook and you obtain the ultimate notebook. Miraxess lapdock project has been 200% funded on Indiegogo few months ago and the first shipment will happen by the end of the year. The final version of the Mirabook will be unveiled at the CES 2018 in Las Vegas. About Auxens: Auxens is a French startup developing innovative user interfaces on Android designed specifically for mobile convergence.